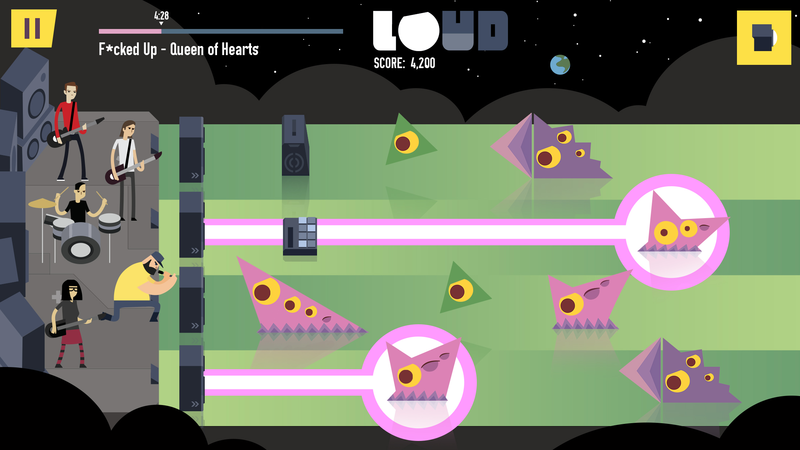 Welcome to LOUD on Planet X! Featuring Tegan and Sara, CHVRCHES, Lights, Metric, METZ, F*cked Up, HEALTH, Purity Ring, Little Dragon, Austra, Shad, Cadence Weapon, July Talk, Monomyth and more! AN INDIE RHYTHM SHOOTER AVAILABLE NOW ON PS4, STEAM, iOS & ANDROID! Successfully funded on Spring 2015!